Russian President Vladimir Putin announced on Wednesday he would seek re-election in March 2018, setting the stage for the 65-year-old to extend his dominance of the country's political landscape into a third decade. With his approval ratings topping 80 percent, Putin is certain to win an easy victory. Putin has been in power, either as president or prime minister, since 2000. If he wins what would be a fourth presidential term in March, he would be eligible to serve another six years until 2024, when he turns 72. 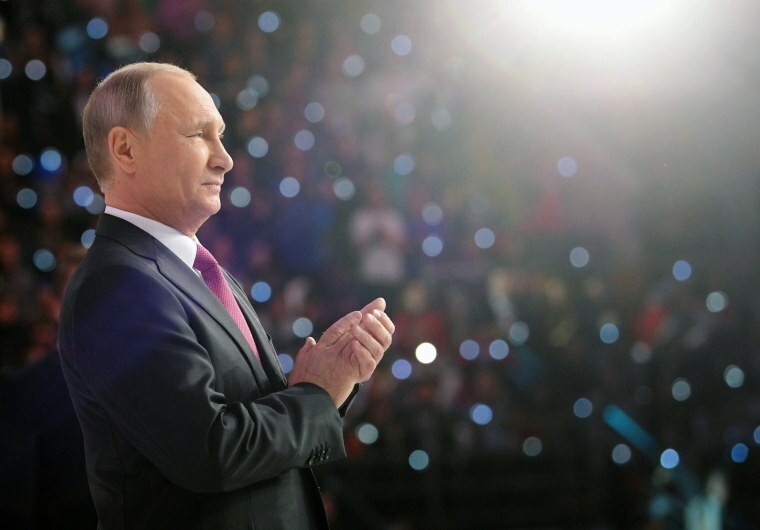 “I will put forward my candidacy for the post of president of the Russian Federation,” Putin told an audience of workers at a car-making factory in the Volga river city of Nizhny Novgorod on Wednesday. Putin is lauded by allies as a father of the nation figure who has restored national pride and expanded Moscow’s global clout with interventions in Syria and Ukraine. His critics accuse him of overseeing a corrupt authoritarian system and of illegally annexing Ukraine’s Crimea, a move that has isolated Russia. The challenge for Putin is not other candidates — nobody looks capable of unseating him — although several will try. Instead, his toughest task will be to mobilize an electorate showing signs of apathy to ensure a high turnout which in the tightly-controlled limits of the Russian political system is seen to confer legitimacy. The veterans of past campaigns — Communist chief Gennady Zyuganov, ultranationalist Vladimir Zhirinovsky and liberal leader Grigory Yavlinsky — all have declared their intention to run. They will likely be joined by Ksenia Sobchak, a star TV host who is the daughter of late former St. Petersburg Mayor Anatoly Sobchak, Putin's boss in the 1990s. The most visible Putin foe, Alexei Navalny, also wants to run, even though a conviction he calls politically motivated bars him from joining the campaign. He has organized a grassroots campaign and staged rallies across Russia to raise pressure on the Kremlin to let him register for the race. While next year’s election in March is devoid of real suspense about who will win, what follows is more unpredictable as attention will turn to what happens after Putin’s final term — under the current constitution — ends. There is no obvious successor, and many investors say the lack of a clear succession plan, and likely jockeying for position among Russian elites for dominance in the post-Putin era, is becoming a big political risk.